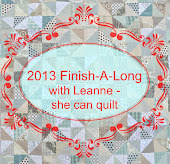 The Q2 2013 FAL tutorial series kicks off with a really handy tutorial from our Finish-A-Long founder, Rhonda from Quilter in the Gap. 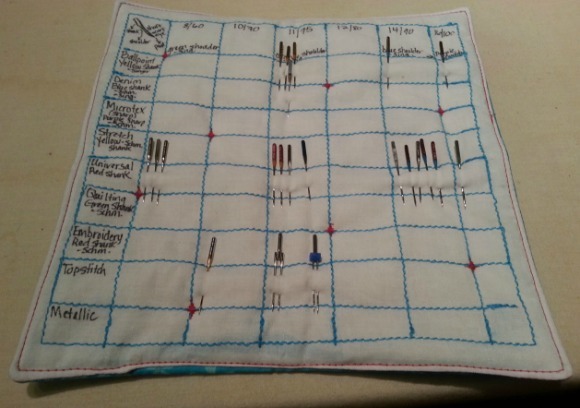 When she told me she was making a needle holder, I did not realize it was a holder to keep track of needles by size and kind. I know you will enjoy this clever and useful little tutorial. 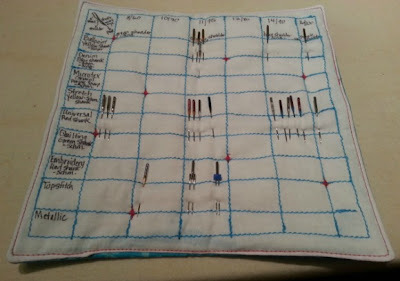 I plan to make one of these needle cases right away and I am guessing you might too. Read on. I have written a tutorial for two different versions of this NeedleCase. 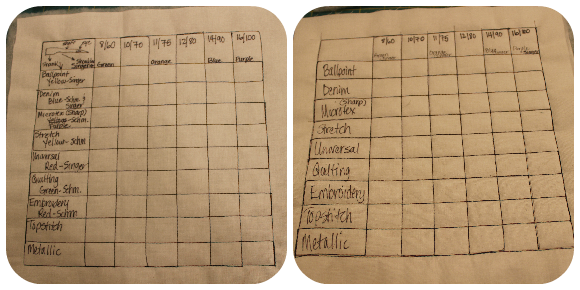 One is printed onto fabric from your printer and essentially the easiest and the other is all hand drawn and written. They both look the same in the end (depending on the closure of your choice) but the fabric requirements are slightly different for the two, so I am going to treat them differently. BTW - because I am sure you are wondering what is up with 2.0 (other than I like being different), clarity will come at the end of this post! 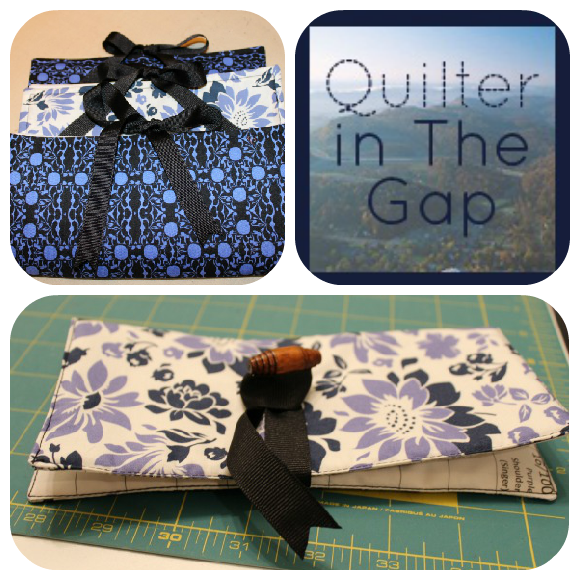 These are both great projects to use up those scraps we all have hoarded up laying around, so make several of each kind, keep your favorite, and gift the rest! 2. 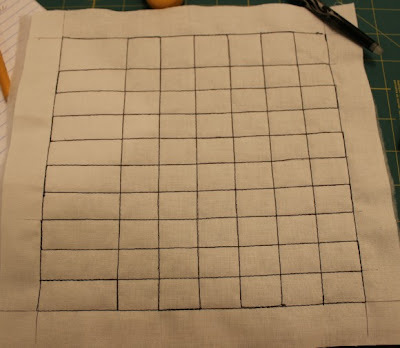 Lay your marked white fabric square on your batting. 5. 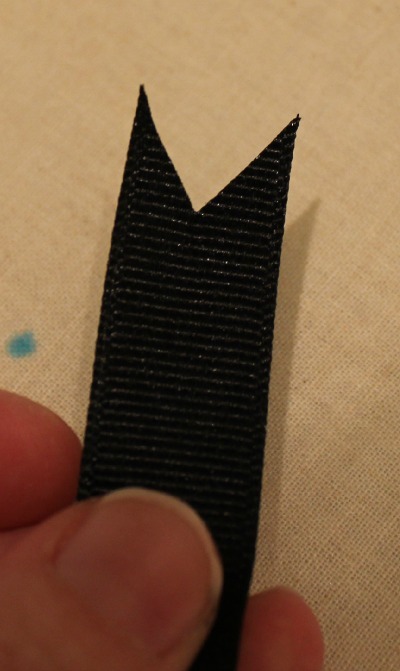 If looking to tie your NeedleCase…Make a small mark on the left & right sides 5” down from the top. This is for ribbon placement. Pin your ribbon pieces just below these marks. 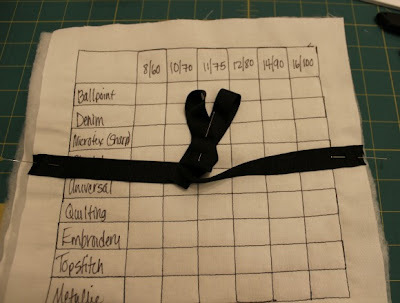 If looking to loop your ribbon over a button….only add one piece of ribbon on the right. NOTE: When pinning the ribbon make sure the pin heads are facing out. Also, coil up your ribbon & pin in the middle of the white square so as to keep it out of the seam allowance in the next step. 6. 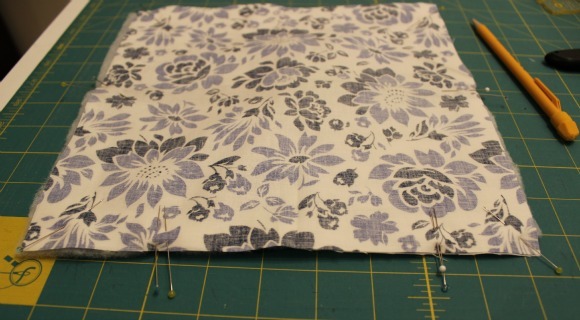 Lay your square of printed fabric on top of the completed white square, with the ribbon pinned to it, right sides together. Pin this in place. 7. 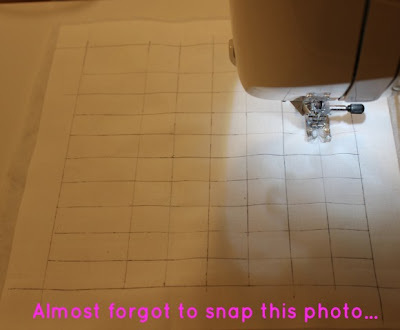 Stitch all the way around the printed fabric square using a ½” seam allowance, leaving a 4”-5” opening on the bottom (my opening is marked with double pins in above photo). Be sure to back stitch at the beginning and ending of your stitching. 8. Trim corners and trim batting out of the seam allowance. This trimming will reduce bulk in the next step. 9. Turn right sides out and poke corners to get crisp corners. Press carefully, turning in the opening ½”. 10. Top stitch ¼” from edge (this will close the opening). 12. Trim any threads & cut “V” in ribbon, if desired. Fold in half to tie shut! 1. Print your grid on your fabric sheet (the needle diagram on the google doc will center itself when you download - weird). 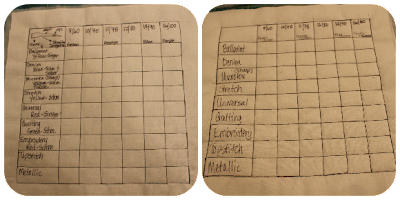 Here is a tutorial for preparing fabric for printing using freezer paper. 2. Lay your printed white fabric square on your batting. 3. 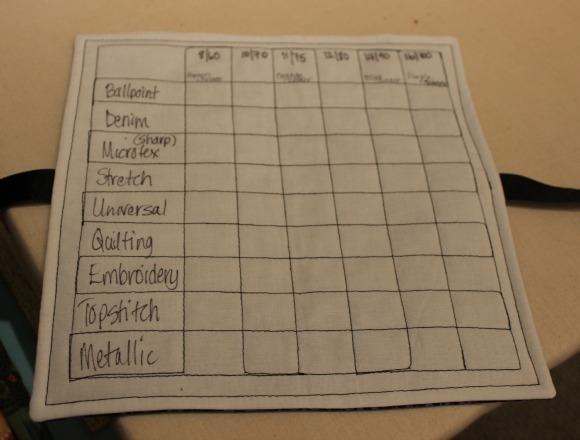 OPTIONAL: Stitch on all the above printed lines – through a stabilizer & fabric. 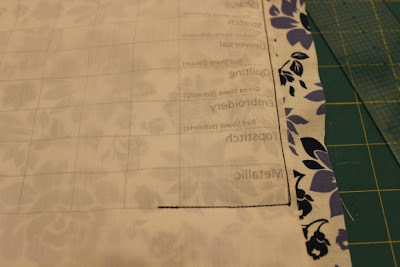 Be sure to use a thread color that is visible against the white fabric but that blends with the print lines. I opted not to sew on my printed version. 4. If looking to tie your NeedleCase…Make a small mark on the left & right sides 5” down from the top line of your printed fabric. This is for ribbon placement. Pin your ribbon pieces just below these marks. 5. Layer everything in this order: batting, backing (printed fabric) right side up, printed fabric right side down (essentially right sides together). Here is what is important here….you need to be able to see the grid for the next step. 6. Stitch all the way around the printed fabric square using on the outside lines, leaving a 4”-5” opening on the bottom. Seam allowance is not a consideration here. 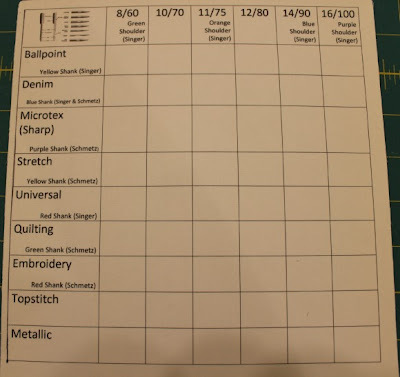 Be sure to backstitch at the beginning and ending of your stitching. 7. Trim ¼” from the stitched lines all the way around, corners and batting out of the seam allowance. This trimming will reduce bulk in the next step. 8. Turn right sides out and poke corners to get crisp corners. Press carefully, turning in the opening to close. 9. Top stitch 1/8” from edge (this will close the opening). 11. Trim any threads & cut “V” in ribbon, if desired. Fold in half to tie shut! I think I might transfer my needles over to the version I made with the printed error. The other three I made will be given away next week on my blog (hint: jump over and follow my blog to avoid missing the giveaway). If you make a QiTG NeedleCase 2.0, please share it with me. You can email me or add pics to the QiTG Flickr Group. So clever, thanks for the tutorial. I'm always getting mixed up and lost about what what with my needles and this would totally save me money and frustration. Wow, Rhonda hides her mega-brain well, most of the time!